Pre-construction. To be built. New Construction by Campagna Homes!!! This NEW ‘Modern’ style home called the ‘Villa Lucca’ is currently under construction and will be available at the end of 2018 or beginning of 2019. The home sits on a beautiful corner lot, situated on a cul-du-sac on Comunidad de Avila, a wonderfully peaceful area of Avila. This over-sized lot having mature trees; preserve and golf course views; is conveniently just steps away from the driving range. 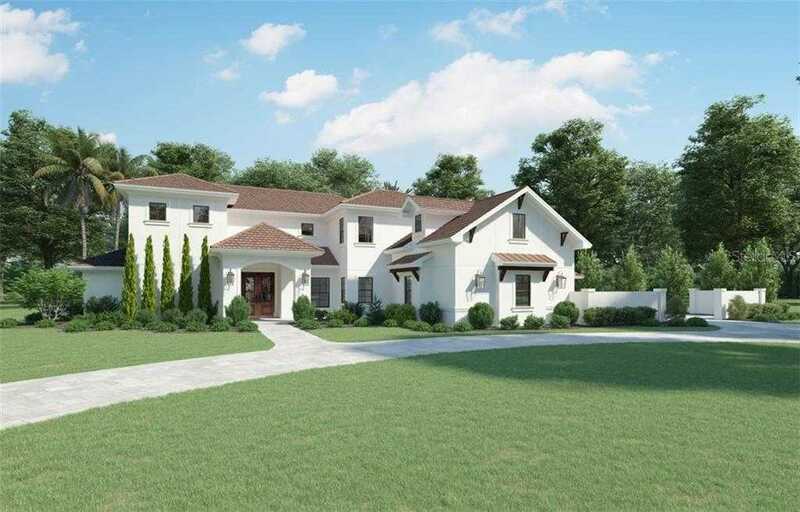 This home will boast many high-end features; such as: hardwood flooring, crown molding, an elevator, quartz counter tops, custom cabinetry, high-end appliances, outdoor kitchen, pool/ spa, an outdoor gas fire-pit, game room, bonus room, craft room/ laundry room and many more features. Located near Dale Mabry and I-275, and only 20 minutes to downtown Tampa. 30 min from Tampa International Airport. This is a dream home in the making! Please, send me more information on this property: MLS# A4409604 – $1,997,900 – 16927 Comunidad De Avila, Lutz, FL 33548. I would like to schedule a showing appointment for this property: MLS# A4409604 – $1,997,900 – 16927 Comunidad De Avila, Lutz, FL 33548.